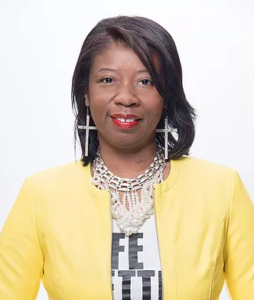 Melanie Thomas-Price, founder and administrator of A Leap of Faith Child Development Center (ALOF), is passionate about positively influencing the lives of children at an early age. Over the past decade, this lifelong Delawarean has been preparing low-income children and families for a successful start in school and life. We spoke with Melanie Thomas-Price about her experience as an early learning provider in Delaware and her dedication to advocating for more increased investments in this area. Q: Can you tell us a little about A Leap of Faith Child Development Center Inc.? We are a five-star early care and education center located in the city of Wilmington. Our students range from six weeks to 12 years of age. We’ve been in business for 16 years and have recently opened a second site in the city. If you ever have the opportunity to stop by, you’ll see that we love and care for all of our children. Q: What is your role at ALOF? Why are you passionate about this work? I serve as the CEO and administrator at ALOF, which means I handle the business operations but also spend time interacting with the staff, students, and families at both centers. My passion for this work began when I was working as a family crisis counselor and public educator. It did not take long for me to recognize that low-income families and students needed help earlier than school age. They were experiencing multiple risk factors like lack of employment, lack of resources and opportunities, substance and domestic abuse, poverty, and homelessness. Families needed help, support, and mentoring. Not just for one risk factor but for multiple risk factors. On top of that, the students weren’t prepared for school. So I made it my mission to build relationships with these families and give their children quality experiences that would prepare them early on for school. And it’s been amazing to see our students grow. Not too long ago, one of my parents tagged me in a Facebook post and thanked me for giving her daughter a great start. The post had a picture of her daughter from one of our ALOF kindergarten graduations and then next to it was another picture of her daughter graduating high school. Moments like these are special. Q: What challenges are you facing as an early learning provider because of the current purchase of care (POC) rate? About 90% of our students and families receive POC. This isn’t something you’ll find in all early care and education centers because it’s not good business. But I’m passionate about this community and accept as many POC families as we can. The POC rate has remained the same but our bills haven’t. And when I say bills I mean must haves like rent, insurance, and electricity. The current POC rate does not provide enough for us to cover our bottom line. Because of this, families, children, and my staff suffer. The lack of investment makes it hard to purchase developmental and age appropriate tools for my students. It makes it hard to find and retain quality teachers. They don’t want to enter a profession or center where they aren’t paid well and I don’t blame them. Teaching is already an undervalued profession but being an early learning teacher is extremely undervalued. At ALOF, we’ve made the sacrifice to invest in our teachers. They receive a fair pay and regular raises but if the POC rate were increased, we wouldn’t feel like we are robbing Peter to pay Paul. There is no way to provide a quality early education and get kids to where they need to be without more investment into STARS, POC, and early learning programs. How could we have gone so long without giving any additional assistance? We know that this sub-group needs more and yet we haven’t acted in close to 10 years. The truth of it is…we can invest on the front end by reaching the kids while their young or we’ll invest on the back end with lower graduation rates and higher prison populations. Q: What is one thing you wish others understood about early learning in Delaware? With a stable and healthy learning environment for early learners, we’ll see a change. A change in the achievement gap, a change in our community, and a change in our state. We have to get back to the “it takes a village” mentality. Parents, Legislators, Teachers, and Early Learning Providers are all a part of this village. We need to intentionally and purposefully work together for the benefit of our young ones.